is back by popular demand. Holy Moly! There is so much to share! It means “school” in Japanese. One June afternoon, Zoe Lockard of Gakko came to Hudson to tell us about the ambitious students and teachers from around the world who were coming together for summer camps designed to prompt young people to “reimagine themselves, their talent, and their responsibility to one another.” The Sempai, the young professionals and college students who lead each camp, design and facilitate a unique learning experience for the Kohai, who are international high schoolers who embrace a diverse community of friends and mentors. One thing led to another and before we knew it, the whole team of Sempai were leading a lively afternoon at the clubhouse. Together we created poetry, debated about sandwiches, saw and learned magic from an actual magician (founder Kenta Koga), and shared laughter and Japanese candies. After this whirlwind of an afternoon, Gakko so generously offered some scholarships for Perfect Ten girls to participate in the full Gakko camp experience! Their site for this year’s camp was the Darrow School in the Berkshires. Monalissa Carius, Legacy Rivera, and Quiana Brown packed their bags for three weeks away into the unknown. What went down? Well you’ll have to ask the girls.... We heard that no two days were alike. The Sempai reported back that the girls became leaders of the group of about 35 global citizens from all over the world. These students are destined to become world leaders, and we are proud to have our girls among them. Our second annual Young Photographer’s workshop with photographer Saskia Kahn was another kind of transformation. This year the theme was “The Land and Ourselves: Exploring our interaction with nature through photography”. Perfect Ten girls consider themselves to be “city kids”. Although we are surrounded by so much natural beauty, girls admitted that they do not spend time out in nature nor do they feel connected to the land around them. This year we encouraged these city girls to get up close and personal with nature. On Day One we went out to Whistle Down Farm where we made silhouettes of nature and each other, with and without the landscape, finding the punctum. On Day Two girls chose from a selection of vintage postcards to use as inspiration for creating postcards of their own. 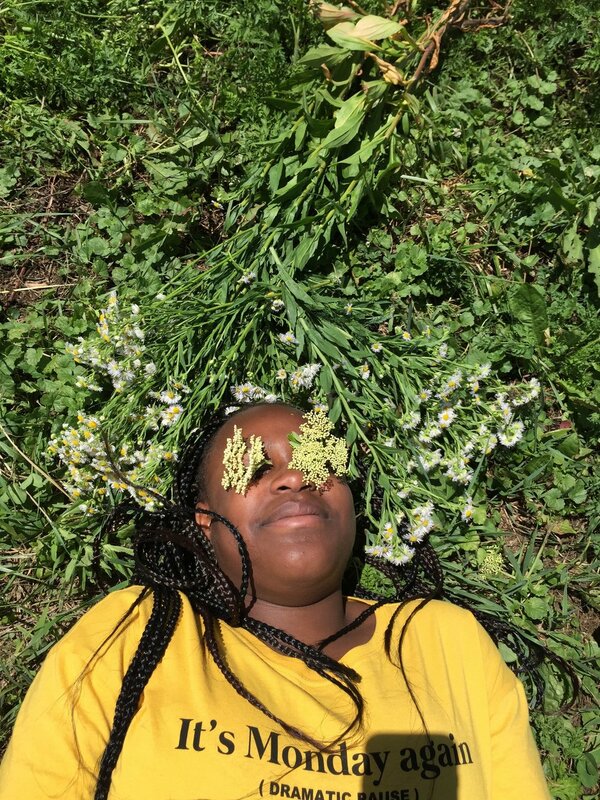 Girls partnered up, using each other as models and the surrounding beauty and landscape of the Hudson Riverfront to create a variety of images. After images were chosen for postcards, girls made 4x6 prints and concocted natural dyes out of black tea and beets to dye their shots, giving them an antiquated feel, and then turned them into postcards, writing powerful messages to their chosen recipients. Day Three was about presentation. Girls wrote artist statements and created a mini show of work from the week, and received feedback and insight from one another. On the last day, girls took some of the vegetables and foliage that they had collected from the first day on the farm and set up a studio right in the clubhouse to take still-life shots of the now-rotting souvenirs, which made for some provocative images and got us thinking about the essence of all that is natural. Their work will be featured at the Half King Gallery in Soho this month! We will be taking a trip to New York City August 14-16 to attend the opening. A major SHOUT OUT to everyone who attended our Cookout for Camp event this year at Steve and Whitney’s magical garden! In addition to the splendid food- we felt the love. We were able to raise enough money to get to Camp Fowler with the Lower East Side Girls Club again this year! We have traditionally taken the week before camp as boot camp to prepare… this year we called it BOOSTcamp, because we give our bodies and attitudes a boost before we head out to the Adirondacks for camp. We did our favorite day hikes and lake swimming, but the added boost was a day with Kylah Campeta and Rachael Kelly of LYF Fitness for a total mind/body workout! They so generously set up a whole course for us down by the riverfront that included yoga, strength and balance training, weight training, and an obstacle course. It was not only fun (and really hard work! ), but we also learned so many new moves that we can practice on our own when our bodies simply need a boost. And then we were off to Camp Fowler! Bonfires and s’mores, early morning lake swims, family meals and table trivia, friendship bracelets, canoeing and sailing, and lots and lots of singing. Our Perfect Ten cohort becomes its own little family amidst the bigger group of girls in attendance, and we support one another in all of the firsts and feats that we are challenged with in this inspiring setting. It’s one of those special places where it’s so hard not to have fun, truly. Thanks to Uncle Kent and the Camp Fowler crew, who bring the pep and zest all week long. It has also become a tradition for Perfect Ten girls to participate in the West African Dance & Drumming workshop led by choreographer Jamal Jackson and his amazingly talented dance crew, who come up to PS21 just to host youth and share their love of West African music. This is the 7th summer we’ve done this with Jamal, and this was an exceptional one. In years past we’ve done drumming and dancing, and then there is a cooking component where the participants work together to cook a lunch for everyone to enjoy. This year, we took it to the next level… we looped in The Sylvia Center to get on the West African plane with us! Half of the group learned choreography from Jamal in the morning, while the other half of the group cooked up a meal, inspired by traditional West African cuisine. Then the groups swapped and, by midday, we had an impressive meal to share as well as new and demanding dances. The girls learned new ways of listening and taking up space with sound through West African drumming! We were delighted to be able to perform all that was learned at the brand new, breathtaking theater at PS21. Thank you to Judy Grunberg for always welcoming us with such warmth, and to the huge crowd we drew for being so lively and supportive. Jamal and company-- these folks are the real deal. We love you and we can’t wait for it all to go down again next summer! For a few summer nows, Perfect Ten girls of all ages and backgrounds have had the opportunity to attend Camp OMI at Art OMI on scholarships. 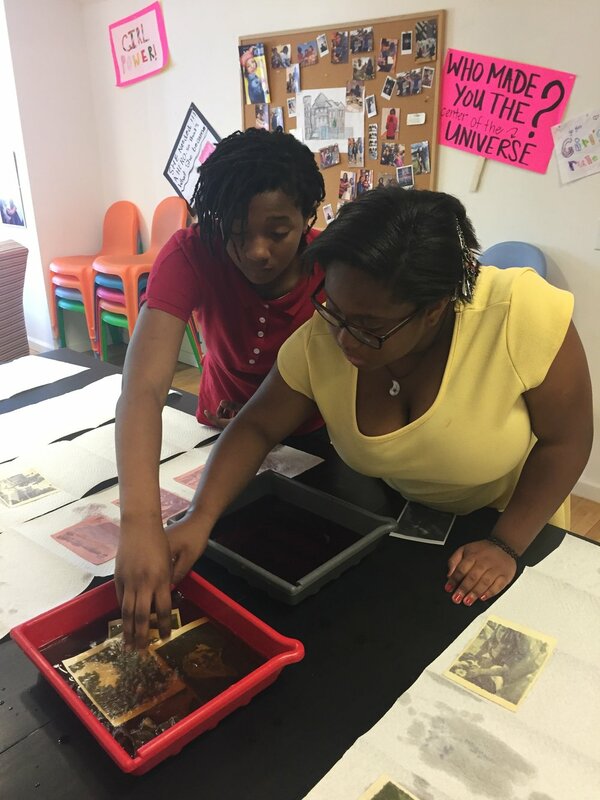 This summer, we were able to plug in over 20 girls throughout the course of the summer to participate in the wonder of art camp… and there’s a pool too! These girls dove into many art practices: a 2D Art Studio for drawing, painting, printmaking, collaging, and learning about both art history and contemporary artists; a Sculpture Shop where youth work with ceramics, wood, three-dimensional mixed media, and on collaborative projects, drawing inspiration from international contemporary sculptors, architects, and makers; a Dance & Movement studio for, well, dancing and moving plus games and improv; and Field Studies, where STEAM curricula is used to explore the diverse landscape of the Art OMI grounds. This has been a consistent highlight throughout the summer months, with each girl begging to go back to camp for another session. A huge thank you to Art OMI staff and friends for making this possible for so many girls of Perfect Ten!